It’s early on Sunday morning at Victoria station and we are on the platform admiring the 1940s Lord Dowding engine — renamed in commemoration of the 75th anniversary of the Battle of Britain. I get a chance to climb on the plate and see the furnace. The man who is driving us this morning had worked on the refurbishment of the engine. This is Cathedrals Express all over: everyone is an enthusiast, from the staff who serve to the senior managers, who are always on hand to make sure everything is arranged as well as possible. Our period restaurant car with crisp white tablecloths is waiting for us. Straight away we are served yummy croissants with strawberry jam and marmalade, orange juice and a glass of Champagne. Steam trains represent all the glamour of the past. Chatting to the other passengers about films like Brief Encounter, you feel like you’re travelling back to this time. Many passengers are either train enthusiasts, or are enjoying a thoughtful gift from loved ones. 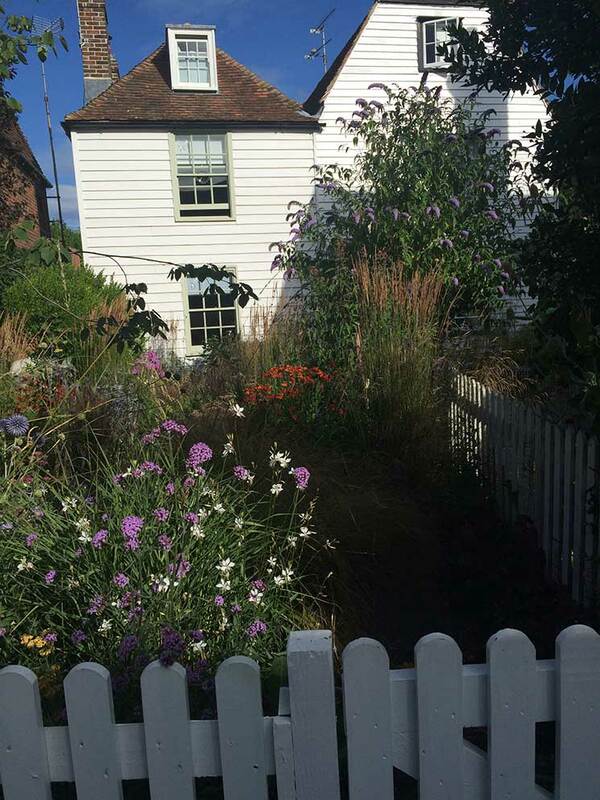 Out of the window London quickly disappears as the Kent countryside comes into view, with lavender fields, orchards and oust houses —it really is the Garden of England. We tuck into a delicious full English breakfast and look out for trainspotters who assemble in fields and at level crossings to catch a glimpse as we pass by. There are stops, sometimes for water and other times because of minor timing problems, but you’re always kept well-informed by super-friendly staff who walk up and down, chatting to everyone. The train arrives at Canterbury, where many passengers head off to explore the Cathedral City. The rest of the train, plus those who have just got on, explore a more remote part of Kent. We pass beautiful cornfields with the occasional glimpse of the sea. At Deal, our engine is replaced by a diesel. Network Rail always has some new restriction for the company to deal with, but everything is taken in its stride. Even when passengers want to change their plans, arrangements are made, along with helpful suggestions on how things can be done. Then it’s on to Whitstable, passing alongside Margate’s new Dreamland vintage funfair and running for a few minutes beside the sea. 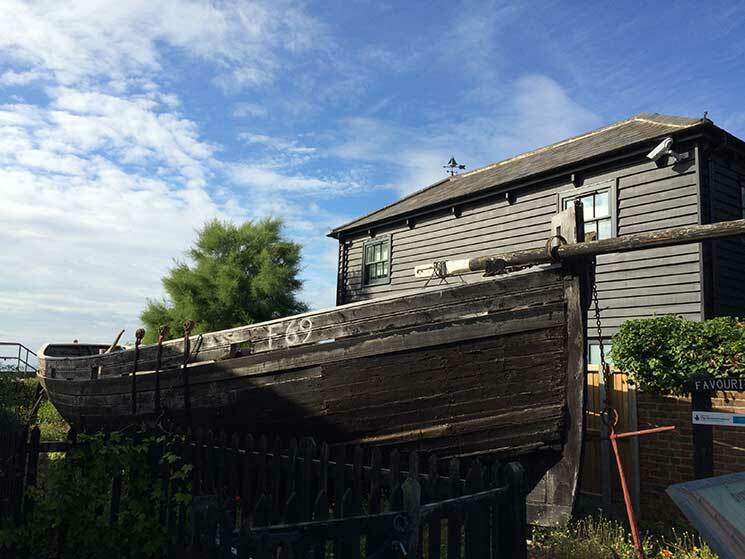 On arrival, most of the passengers get off for a few hours to enjoy the Oyster Festival, have a swim in the sea or a wander around the craft studios, clapperboard houses and gardens of local artists. At six o’clock, the train comes in for the return journey, picking everyone up at the different stations on the way home. Once more we’re under steam, tucking into a delicious four-course evening meal and discussing the day’s adventures. Everyone is very impressed with how the company is run and how it make the journey so much fun for everyone. Even as the sun sets we still see the steam trainspotters waiting to catch a view of us puffing across the fields. 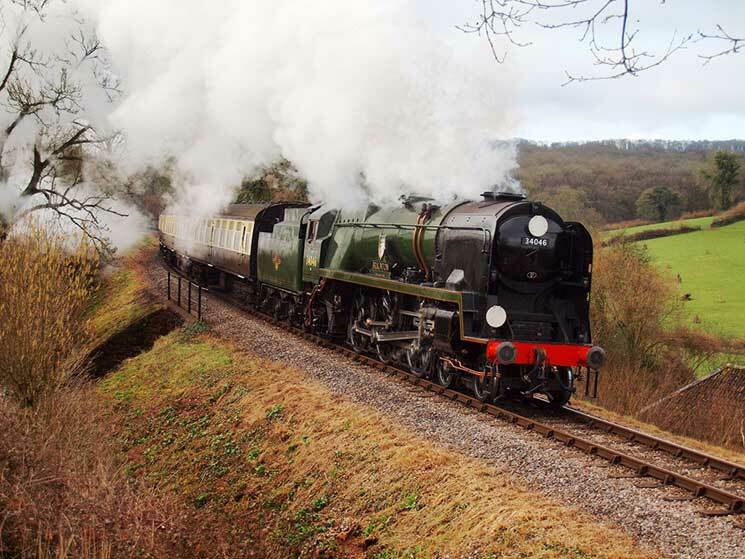 For the perfect way to enjoy visiting some of Britain’s most interesting places with a jolly gang and some added adventure on the way, Cathedrals Express has short and longer (up to nine-day) trips around the UK this summer.